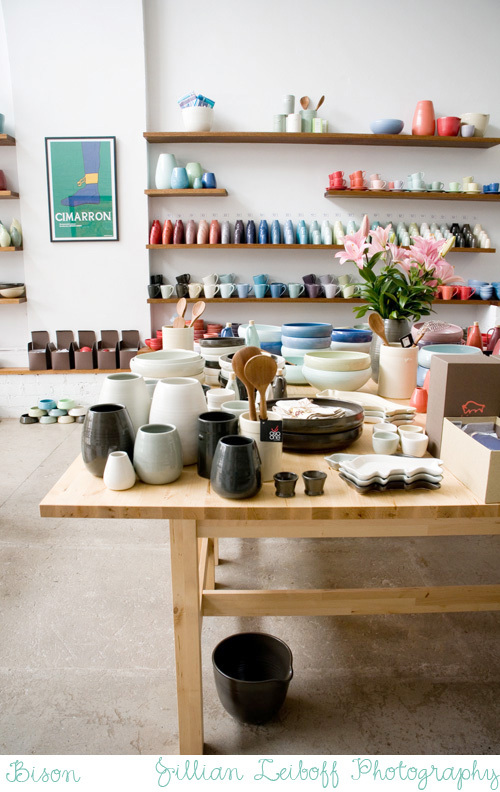 Would you like to travel to Sydney for a moment to view brightly colored stoneware ceramics and tour the light-filled store of Bison with me? Photographed by the talented Jillian Leiboff, prepare to be transported to sunny Australia! 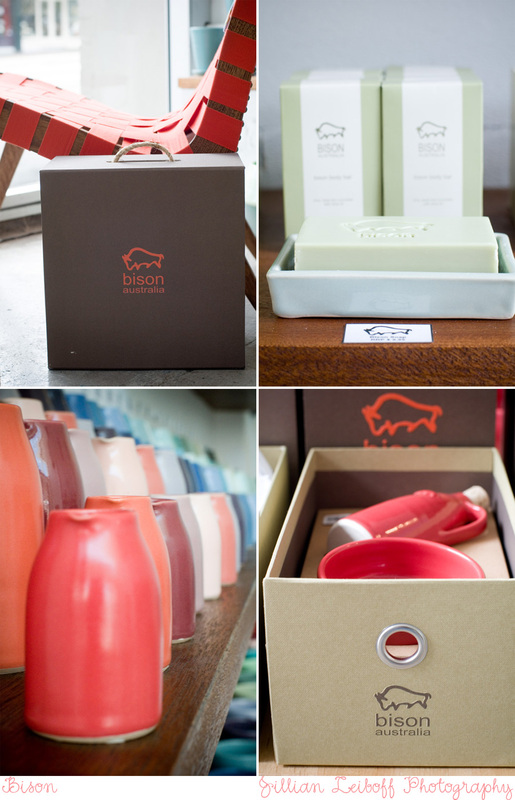 Jillian photographed Bison's brand new shop recently and is sharing her visit with all of us today... are your ready? Bison, which was founded by principal designer Brian Turks who trained in archaeology, first discovered his love of ceramics from his Greco-Roman excavations in the Middle East. Fascinating source of inspiration! 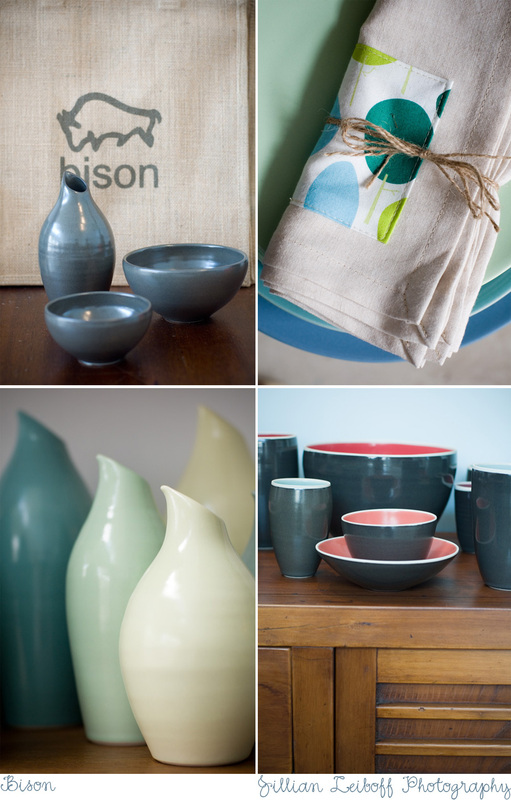 You will love all of Bison's brightly colored stoneware ceramics -- I see so many things that I want to buy and use in my kitchen. The store design is quite lovely and simple, the neutral foundation highlights the colorful vessels and the natural light that floods the space is breathtaking. I also like the shelving and the remarkable height of the overall space -- it feels airy and inspiring! 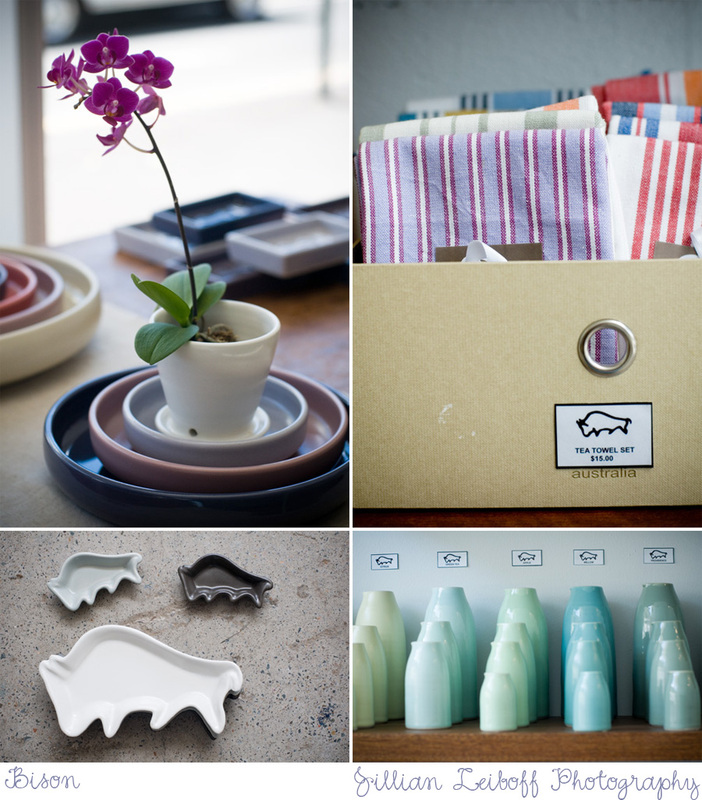 Bison will soon have an online shop opening up later this winter so bookmark them and return early next year if you'd like to purchase a few of their beautiful wares. I sure do -- especially after seeing Jillian's mouth-watering shots!